Nearly one in five senior citizens in the United States has been swindled financially, according to a new survey. 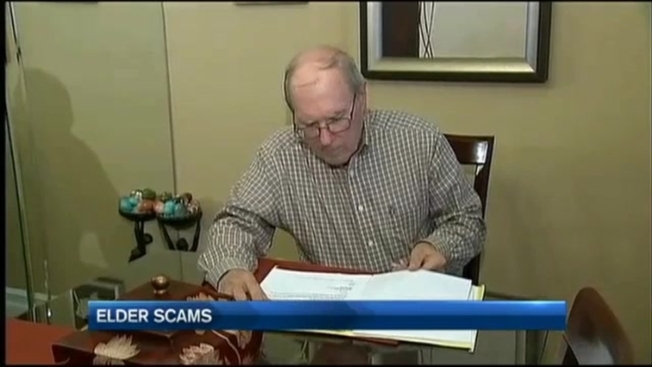 The scams range from seniors being taken advantage of through high fees to inappropriate investments or outright fraud. The survey was done by Public Policy Polling for the non-profit Investor Protection Trust. It actually marks a slight improvement over a similar study done by the group in 2010. Then, they found 20 percent of seniors had been victimized, and this new study shows a lower rate of victims - 17 percent, or nearly 7 million seniors. Study authors say since 2010, seniors have become better educated on financial issues and that both their children and doctors are more aware of medical issues that might prompt seniors to make bad decisions about money. "There's a part of the brain that become less effective as we age," said Steve Weisman of Brandeis University. "And this part effects skepticism, so they become more trusting." If you think you or a loved one has been taken advantage of, the Massachusetts Executive Office of Elder Affairs has Protective Services agencies throughout the state to respond to reports of abuse. They also run an around-the-clock hotline. That number is (800) 922-2275. Consumer tips for how elderly people can protect themselves can be found here.